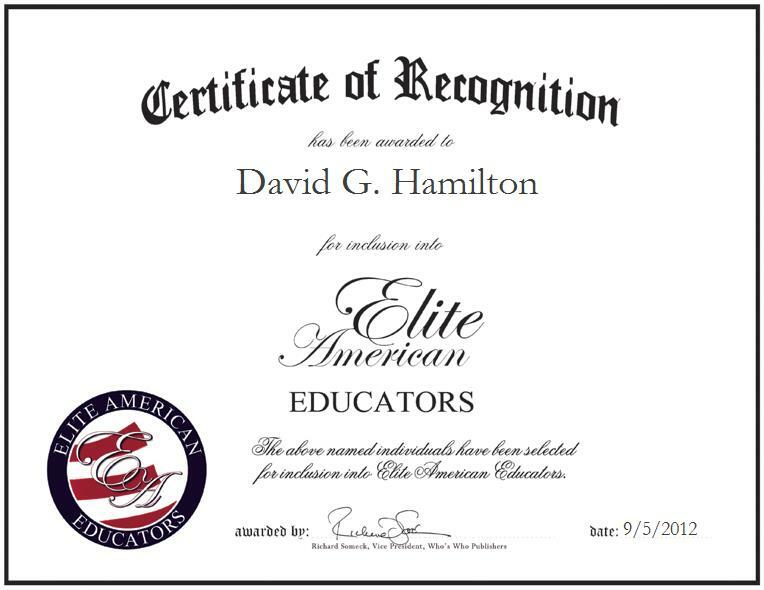 David G. Hamilton is a Professor of Education at Spring Arbor University. A trusted and renowned member of the academic faculty, Dr. Hamilton lends the talents he has honed over the course of a 40-year spanning career to the prominent educational facility, where he specializes in education. He served as the dean and director of the School of Education from 1988 to 2005, and the President of the Michigan Association of Colleges of Teacher Education from 2005 to 2007. In addition, he was a professor of French education from 1988 to 2012 at Spring Arbor University, and he has also done public speaking over the years. Dr. Hamilton received a Martin Luther King Jr. Medal of Honor in 2006, and a Leroy Lowell Award from Spring Arbor University in 2005. He is also a recipient of the school’s prestigious Second Mile Award.